We’re delighted to say that we’ve reached a landmark milestone with our training programme, having delivered sessions to more than 300 delegates. 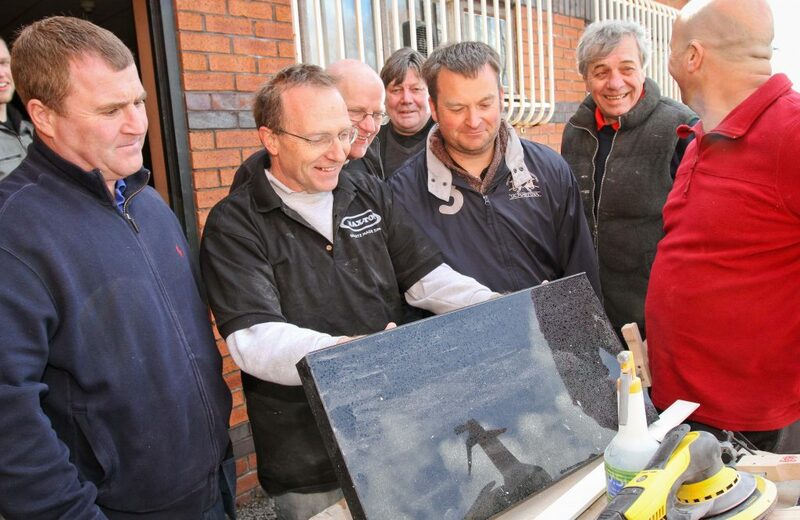 Designed to practically demonstrate preparation and installation of Maxtop Quartz, the courses, held in Manchester, Reading and in conjunction with The Panelling Centre across Ireland, showcase how quick and easy the surfaces are to install. As we place great emphasis on the quality of our products, we want to do everything we can to support our installers, distributors and kitchen designers. By showing first-hand how simply and quickly Maxtop surfaces can be installed, we can equip everyone involved in the selling and installation process with the knowledge and skills they need to maximise income and installations during their working day. Of course, time is precious, so we’re very pleased that hundreds of people have made the effort to attend a training session and share feedback on the product. Taking place every month, delegates attending the half-day course receive a free sample display box containing all ten finishes, as well as a cross-sectioned block of surface, showcasing its unique interior. In addition, attendees get exclusive discount on installation kits. Our courses are very interactive and encourage people to ‘have a go’ so they can see with their own eyes how easy it is to work with. Thanks to its unique patented interior, Maxtop surfaces provide enhanced impact resistance, lightweight ergonomics and waterproof qualities, making it significantly quicker to install versus it’s solid counterpart. If you’re interested in taking one of our training course, be sure to contact us here, or on Facebook or Twitter.